Susan's got a great challenge over at One-Layer Simplicity for this month. She's chosen a number of summery colour palettes and we can choose whichever one we like to play along! And I was inspired by the technique Lydia used to make these pretty flowers here. I cut a daisy from an old Fiskars punch and used it as a mask. I sponged Broken China distress ink and then Salty Ocean around the centre before removing the mask and using a spong dauber in Mustard Seed and then Wild Honey around the edges of that. I finished it off with a Papertrey sentiment. Love the soft sponging Ardyth! This is so pretty. 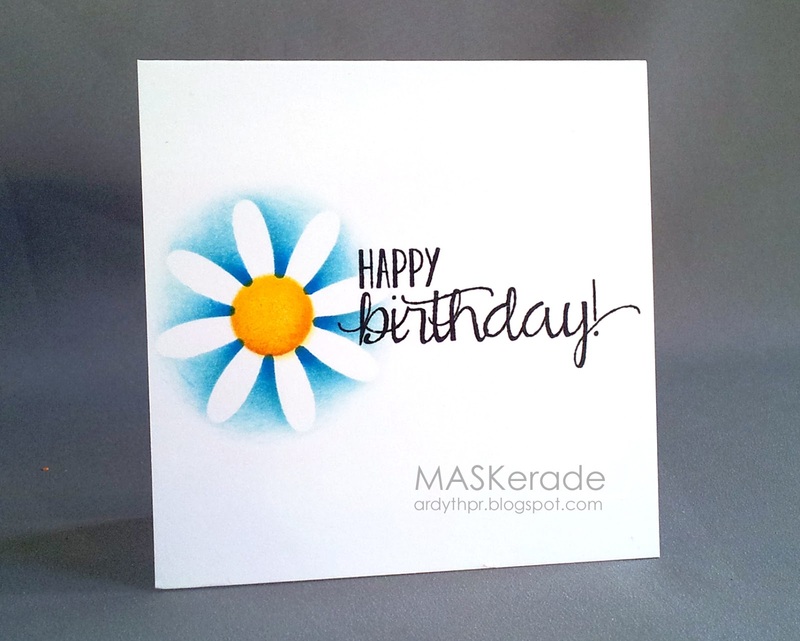 Your masking and sponging give the card so much interest. What gorgeousness! I loved your inking. I have a similar punch and you have inspired me to use it. I love this. Sorry I've been AWOL ... but first away on the most wonderful trip (Edinburgh for my daughter's graduation, then on to Italy!) and now I'm at the beach. Hope to get back to crafting next week. such a pretty card!! I love how you come up with new (to me anyway) ideas to use products I haven't used in a while. I love this; its such a nice different approach to a simple flower. 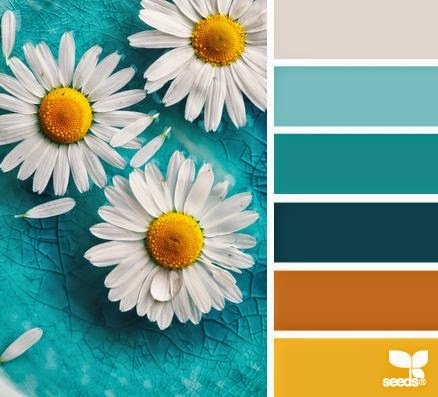 Love your colours too. Amazing card! Love the masking and the colors used in this CAS card. Love how you used the fade of blue here, Ardyth! That's some awesome sponge-wielding! This just jumps out - it's perfection!